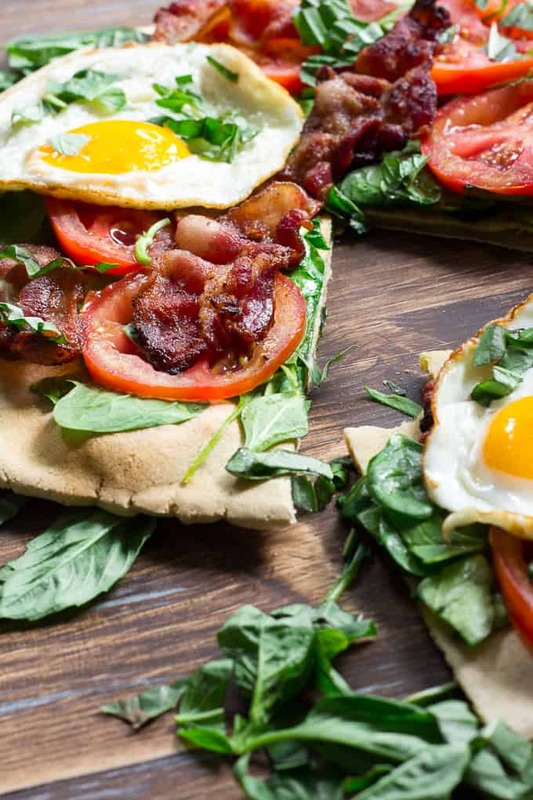 Give in to your savory breakfast cravings with this Easy Paleo BLT Breakfast Pizza! A crisp and chewy cassava flour crust is topped with eggs, bacon, spinach, tomatoes and basil for a super flavorful and healthy breakfast treat. 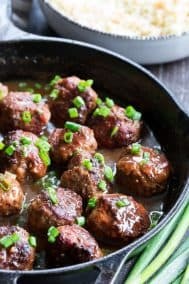 Gluten free, grain free, dairy free, and delicious! 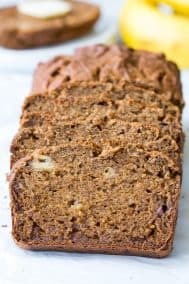 So, as it turns out, Cassava flour makes more than great banana bread! I never doubted this, BUT after trying out a dough recipe for myself I knew what had to come next – eating the whole thing topping-less and then punching myself in the face for not making it into a pizza. 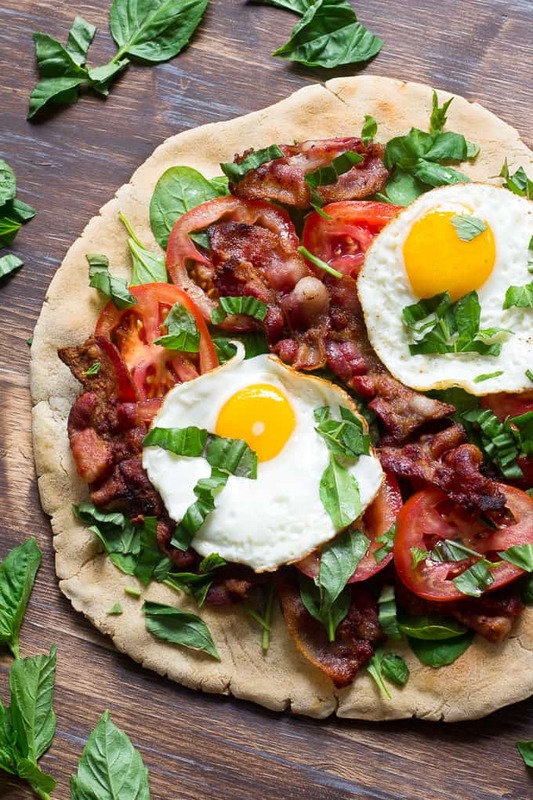 Luckily for me and my hungry face – the darkest hour is just before the dawn – when we can wake up, make more dough and this time turn it into an easy Paleo BLT Breakfast Pizza! That’s mostly a true story, except I didn’t literally punch myself in the face, and I believe this breakfast pizza was made an hour or so after dawn. At ACTUAL dawn, I’m either running (likeliest) or on Facebook, or, sometimes both, which is a new thing that I think really needs to stop. But more about this pizza! 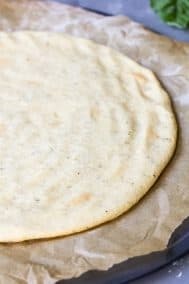 I think Cassava flour is a perfect option for a paleo pizza crust, given the texture that it creates. I’d describe it as both crisp and chewy, depending on how you cook it and how thin you make it (I tried two ways, both were good, one was crispier), and if you add additional ingredients, which I did not in this case in order to keep it as simple as possible. My kids liked it (they don’t eat only paleo) and thought it tasted “buttery” and chewy – Diana was not thrilled I put spinach on it but the crust + bacon + eggs sort of made the spinach go down a bit easier! There are endless possibilities with this flour, and I’m excited to try more with it, I’m thinking crackers or tortilla chips would be a hit with my family. 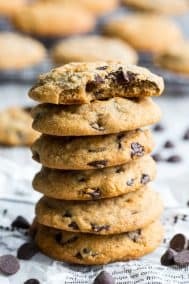 But really, anytime I make anything involving dough they get excited – out of curiosity, to try something new, and also because grain free cooking and baking really IS delicious! 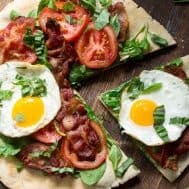 A savory breakfast or brunch treat that's gluten free, grain free, & dairy free, this Easy Paleo BLT Breakfast Pizza with Cassava flour crust is healthy, delicious and fun! To make the crust, preheat your oven to 425 degrees. 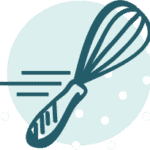 Combine the cassava flour, salt, egg, coconut oil and warm water in a medium bowl and mix with your hands until a smooth dough forms. Sprinkle with onion powder if desired. 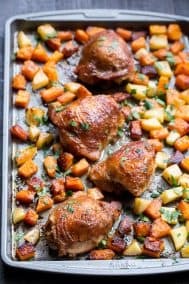 Place the baking sheet in the preheated oven and bake for 12-15 minutes, until light browned and crisp. While the crust bakes, prepare the toppings. To top the pizza, layer the spinach, cooked bacon, sliced tomatoes, fried eggs*, and fresh basil over the crust. Cut into slices with a pizza wheel and enjoy! *You can fry your eggs sunny side up as I did, or cook them however you like - scrambled, poached, etc. If there is one thing you need to try Cassava flour for, trust me, it’s THIS! If I’m going to be 100% honest right now, I actually made myself a scaled version of the crust to snack on while writing this post. And just as I recalled, it was once again pure texture and flavor amazingness! You can buy Cassava flour from Otto’s Naturals, Amazon, or One Stop Paleo Shop. Remember how chocolate makes us feel? I say pizza for breakfast is a close runner up. Get your grain free dough on…and go! What are your favorite breakfast pizza toppings? Have you made grain free pizza crusts? It really stands out with just oil water and salt – perfection! Maybe I should try this flour for fun and variation? I have made the cauliflower pizza crusts and really like them but haven’t done it in a while. I’ve never tried the cauliflower since it bothers my stomach, but maybe since it’s baked so much it would be fine? I’m curious! I’ve never tried chickpea flour! Cassava I would think is chewier, but not sure. When I saw this in Instagram, I was like I so need breakfast pizza in my life. Must try! I also see you moved on from Pinterest to Facebook. yay for breakfast pizzas! they are my favorite breakfast! Don’t stop, won’t stop being on my phone during a long run, especially. Keeps my recovery runs honest! As long as you don’t punch yourself in the face while you’re running, I think Facebook is safe. Oh, and this pizza looks perfecto! Good point, glad I’m not the only one! Definitely have to try this STAT. 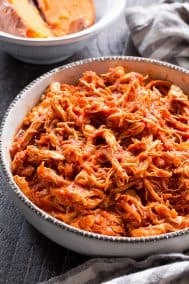 I’ve been wondering about cassava flour, and it looks like I may need to go totally grain and dairy free for awhile – so no more Greek yogurt or oats to take to work for breakfast, this could be just the make ahead meal! 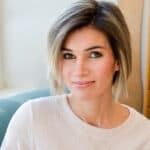 I am dying for your Kombucha blog post…. I made it for a while but then it died and mine never tasted fizzy so I would to hear all your tips and thoughts! Though, I really love Pizza, so thanks for that too 😀 Your blog is the only one I read daily, and I really love it. 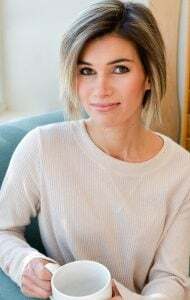 I will keep reading it and pining for a Kombucha post, ha ha! I know, I want to do one but haven’t found the time to take the pictures! I feel like I’m always making it and rushing. Temperature matters so maybe things changed with the season? Mine is taking longer to brew now that it’s colder. I might look into getting something to heat it for winter, we’ll see! 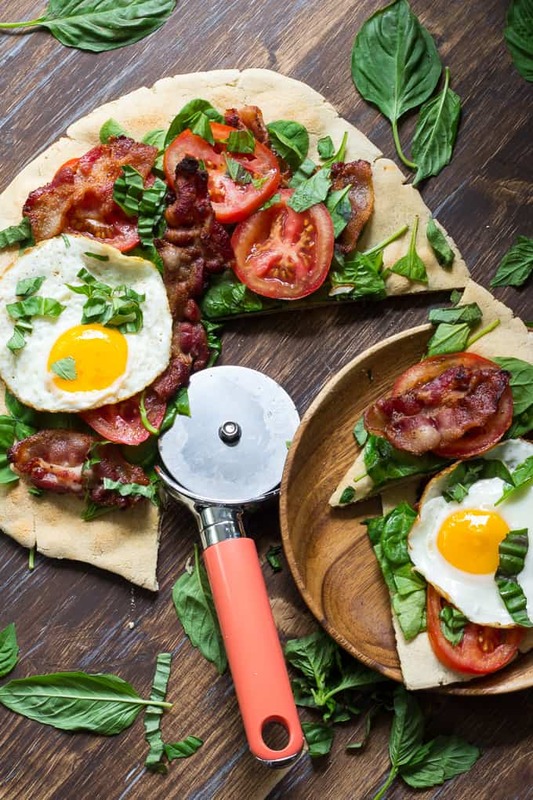 I need to try breakfast pizza! Yum! I’ve never tried a grain-free crust, although I keep meaning to try a cauliflower crust. 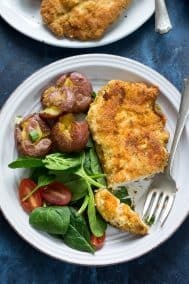 I’ve actually never tried the cauli crust since cauli doesn’t agree with me but I’ve always been curious! Still have to get my hands on some cassava flour! And now I need more too! 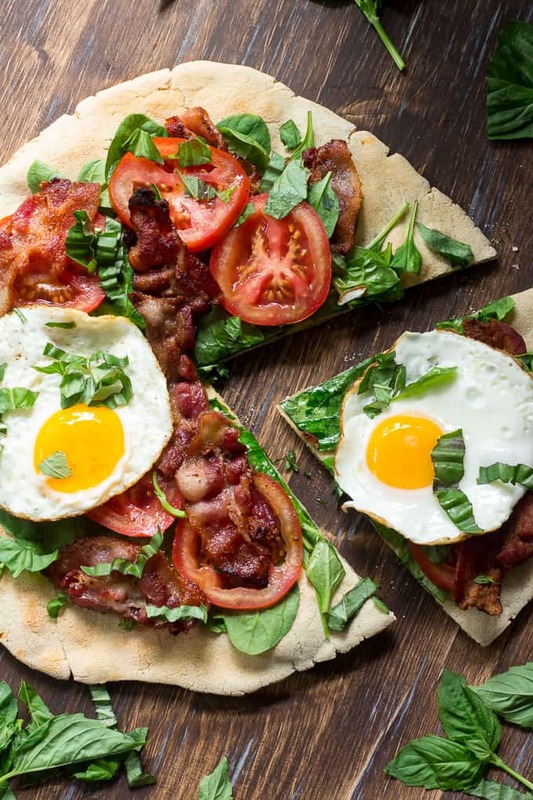 A breakfast pizza is something I can definitely get behind! 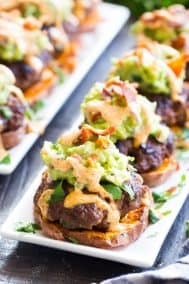 I would skip the bacon if making for myself, but otherwise looks amazing! I think anything you want would be tasty! Your breakfasts always look so darn delicous. I will have to book mark this…and find cassava flour! I’ll just change the toppings to be more “rebecca friendly”, but yum! Weird…but I’ve never done the breakfast pizza thing…even though it seems like something I would be all over, especially sweet ones! LOL! Okay so this is an old recipe that I updated and changed to omit peppers. I’m not particularly fond lately either 🙂 Will fix that! Can anyone else who has actually made this comment on how it turned out? I tried the pizza crust following the recipe exactly and it was a dry crumbly fail. It never came to anything remotely resembling a dough, and I added 2 extra tablespoons of water in an attempt to salvage it. Cassava flour is so expensive I hate that I wasted so much trying this recipe. Terrific flop for me. Dry, crumbly, even after adding a little more water t ge to “smooth dough”.